Four Villages Inn was established in 1999 by Christopher and Charity Scott. After twenty years living, working and raising a family in Canada, they returned to Ghana for good to settle in the country of their youth, leaving behind their two adult children, Frank and Christianna. They realised that operating a bed and breakfast at internation standards in Kumasi would be difficult, given the many challenges invlolved in running a business in Ghana. But they were no strangers to challenges or hard work. As a young couple living in Ghana during the turbulent and hyper-inflationary1970s they struggled to provide for their family. Chris, who first came to Ghana as a CUSO volunteer, trained young teachers who have become some of Ghana's finest educators at the well-respected Afrokerri Teacher Training College, near Obuasi. Charity, the family entrpreneur, made a success of a clothing boutique in the nearby mining town of Obuasi. After moving to Canada in 1979, their careers took them to isolated communities in northern Quebec, where Chris continued as an educator and Charity trained at culinary school, becoming a sought after chef at various hunting lodges. The early years at Four Villages Inn were very busy. Rooms were being decorated in a way that reflected the family's blend of particular values and lived experiences. An artisinal sausage facility was added to supply the breakfasts. Routines were being established and services honed. A portion of Four Villages Inn profits went into establishing a not-for-profit school 20km out on the Obuasi road where disadvantaged children got a chance to learn a trade. By 2001, Four Villages Inn had won the Ghana Tourism Authority's Ashanti region Guest House of the Year award and again in 2003. More awards and accolades were to follow. Four Villages Inn consistently ranks at the top of Trip Advisor's list of Kumasi Guest Houses. In December 2014, Christopher passed away unexpectedly in Toronto following surgery. 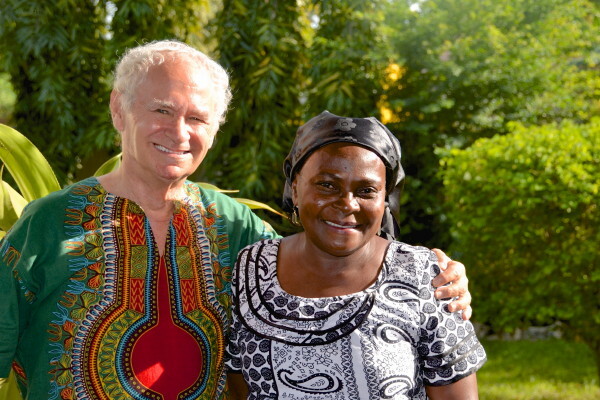 Four Villages Inn is now being operated by Charity and Frank, who returned to Ghana in 2003, with additional periodic support from Christianna, who resides with her family in Montreal. To all our return clients, we would like you to know that we appreciate your loyalty and to our new clients we extend a heartfelt Akwaaba!